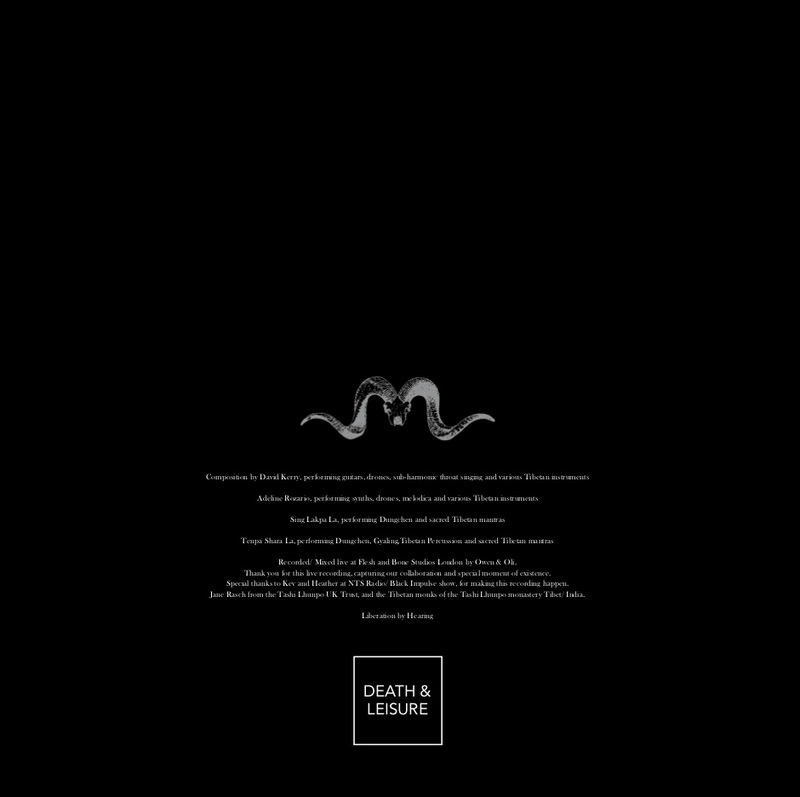 Here at Death & Leisure we are on a continuing mission to surprise and experiment, and so with our new release we present something very special, Blackmoon1348 and The Tibetan Monks of The Tashi Lhunpo Monastary. 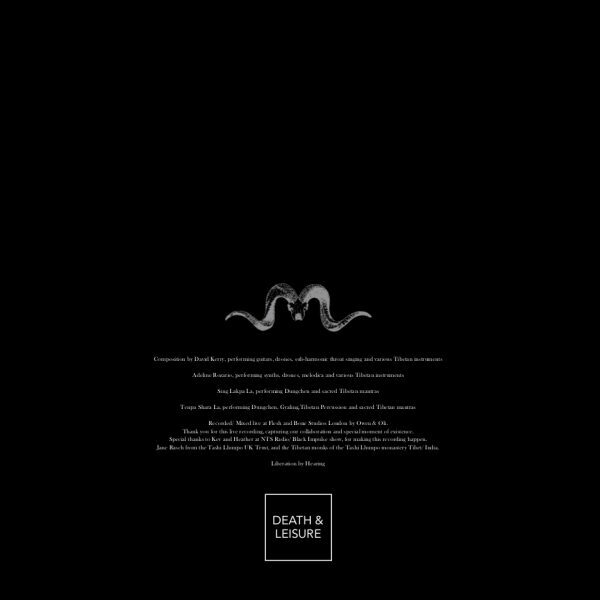 This project sounds like nothing else, it fuses heavy drone guitar sounds with traditional tibetan throat singing and live instrumentation. 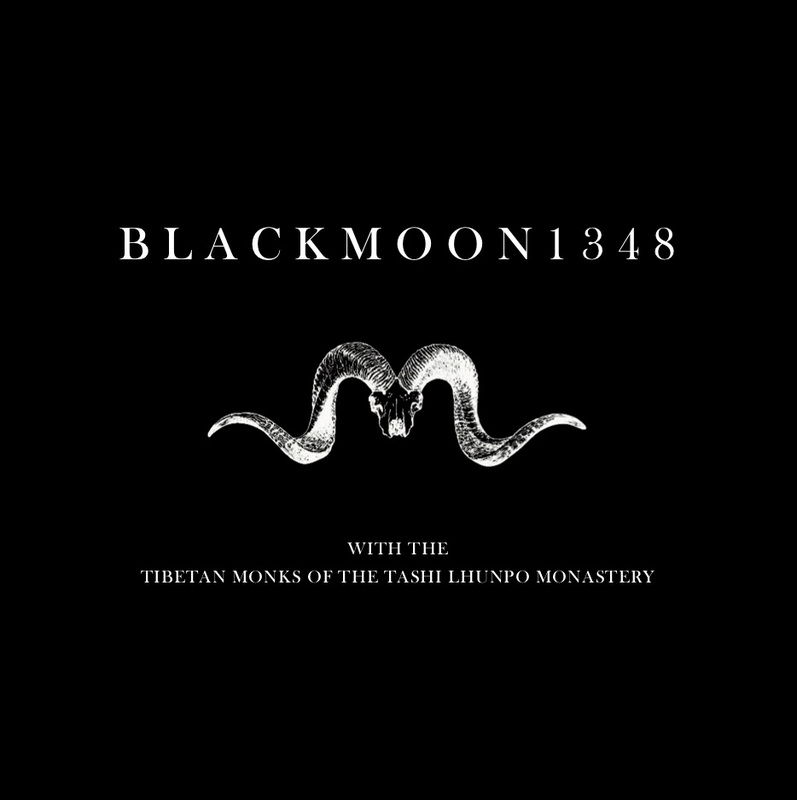 BlackMoon1348 in collaboration with the Tibetan Monks of the Tashi Lhunpo Monastery (Tibet/ India). 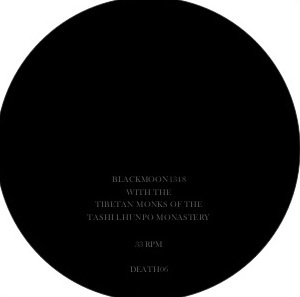 2017 BlackMoon1348 embarked on a cultural experimentation of cultural diversity in the arts, forming a collaboration of ancient Tibetan ceremonial practises and instrumentation with sub-harmonic drones and industrial soundscapes. The music amalgamates sacred mantras that date back to the early teachings of Tibetan Buddhism practised in the Tashi Lhunpo Monastery, with heavy detuned western instruments, synths, and electronic music for the first time in recorded history. The Tashi Lhunpo monastery was once home to the Panchen Lama who subsequently “disappeared” under the oppressive Chinese rule of Tibet. A handful of the Tashi Lhunpo monks were fortunate to escape into exile and have since re-built the monastery in Mysore, South India – now flourishing with over 400 monks practising within the monastery. Tibetan Buddhism is an outlawed ancient tradition within Tibet – monks, nuns, and Tibetans cannot openly practise their heritage and traditions, forcing Tibetans to inhabitable plateaus, with such areas are now under “Chinese Re-development”, the land being stripped of natural resources for China’s ever growing economy and totalitarian rule. Tibetans face persecution for as little as owning a Tibetan flag, or picture of the Dali Lama, with such actions landing you in jail, tortured, poised, and/or being released just before the point of death. It is important for us to remember and celebrate the traditions of the Himalayas and its sacred, peaceful practises. 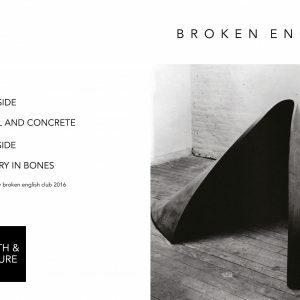 The music was recorded live in one take at Flesh and Bone studio in Hackney for NTS Radio’s Black Impulse show. 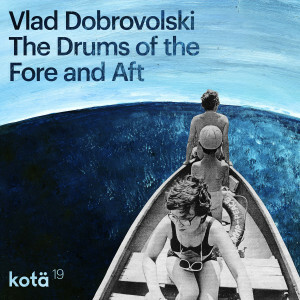 Engineered, mixed, and mastered by Oliver and Owen at Flesh and Bone, capturing the raw, ethereal essence of the collaboration and ceremonial sounds buried deep within the Himalayas. 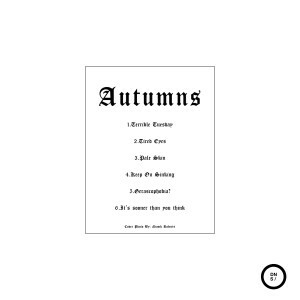 This was the first time in history for such collaboration of tradition, ideology from Adeline Rozario and orchestrated by David Kerry of BlackMoon1348 who created this music to diversify and bring together ceremonial instruments, diversifying the metaphysics of transcendence through ceremonial Tibetan practises. It is important to understand that BlackMoon1348 are not attempting to change the fundamental meaning or belief of the Tashi Lhunpo Monks, or assume to have a deep-rooted understanding of the ancient traditions of Tibetan Buddhism, This is our understanding of Tibetan culture and practices as truly and honestly as we see and feel it, and our attempt to spread this beautiful, sacred, culture, and keep it alive within today’s society.